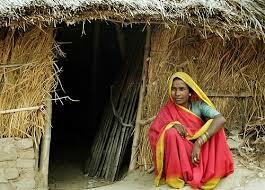 The vast majority of India’s 1.3 billion people live in its 630,000 villages. They have seen little or no benefit from the country’s economic growth. Over 80% do not have ‘approved sanitation’ according to UNICEF, and are forced to defecate in public. Village health care, where it exists, is poor and inaccessible. Education is basic, with large class sizes and schools lacking desks and chairs, let alone books. The caste system dominates all areas of life and, although the constitution of India prohibits discrimination based on caste, violent exploitation and prejudice are the norm. Add economic and gender divisions to this medieval Hindu social system and a multi-layered structure of separation begins to surface. 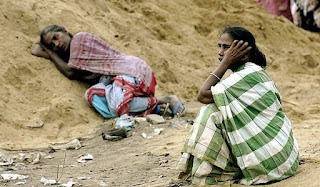 At the bottom of the social ladder are girls and women from the Dalit caste (previously known as the untouchables), who are born into a life of exploitation, entrapment and potential abuse. As an International Dalit Solidarity Network (IDSN) report for the UN makes clear, “discrimination and violence systematically deny them opportunities, choices and freedoms in all spheres of life”. The police are negligent, discriminatory and corrupt, and village justice, as dispensed by the ‘Panchayat’, is archaic. The village council or Panchayat “consists of five members … [and] sits as a court of law”, adjudicating in cases, which the Encyclopedia Britannica describes as relating to ‘caste’ offences. These ‘offences’ are trivial one and all, and range from a Dalit woman taking water from a well reserved for higher caste families, to breaching eating, drinking, or smoking restrictions to—God forbid—having a relationship with a man from a neighbouring village. The punishments meted out by the Panchayat are extreme, often brutal, always unjust. The most common victims are Dalits, of whome there are an estimated 167m in India (16% of the population). They tend to be poorly educated, landless, with few employment opportunities and so dependent on the very people who mistreat them—men and women of the higher castes. It is a dependency based on vulnerability, allowing exploitation and abuse. Dalit girls and women are victimised and violated in villages, towns and cities up and down the country. The Dalit Freedom Network (DFN) records that they are murdered and burned alive, “raped, held captive in brothels and temple ceremonies, and forced to work as bonded laborers”, while young girls are kidnapped and trafficked into prostitution or trapped into domestic servitude. All because they happen to have been born into a particular family, in a particular place. Kessi Bai has lived in Thuravad village in Rajasthan for 21 years. In November last year the 45 year-old mother of five was accused, with no evidence, of murder, by a mob of villagers led by the village council. She was violently punished: stripped naked, her face was blackened with charcoal, her head was shaved and she was repeatedly beaten with wooden sticks. Her husband and son were locked inside their home while she was paraded for six hours around neighbouring villages on a donkey. The procession returned to Thuravad at around 8pm, she was thrown from the donkey and again beaten, before the police finally arrived. When I met this frail, desperately poor Dalit woman in December, she would not show her face and wept repeatedly. She has not left her house since the distressing incident. In a similar recent case in Utter Pradesh, the Daily Mail reports, “15 Other Backward Castes (OBC) villagers stripped five women of the Dalit community, paraded them naked, caned them and then put them on show on the highway because one of their daughters had allegedly eloped with a Dalit’s son”. And most shocking of this trinity of injustice: last January in the remote village of Subalpur in West Bengal, a 20 year-old Dalit woman who was “found in the company of a married man from another village”, was, the Guardian reported, “dragged out by her neighbours … tied to a tree then raped by up to 15 men as punishment for the illicit liaison”. The woman, known only as ‘W’, has since been regarded as a ‘woman of bad character’, who “‘spoiled the atmosphere of the village’ by going against local customs”. These medieval ‘traditions’ of suppression and division enforced by the Panchayats, which are widespread in India’s villages, support a deeply patriarchal society and have no place in any civilised country. The Panchayat is elected by villagers and is paid for by the Indian government—it is in effect the first level of local governance. All members are duty-bound to maintain communal harmony and to discharge their office, the official legislation says, in “a fair and judicious manner without fear or favour, affection or ill-will”. As with many areas of Indian life, however, what is universally lacking is the implementation of such liberally acceptable legislation. Complacency and corruption are two of the major obstacles to the observation of universal human rights and the realisation of democracy in India. If the government, under the leadership of the Hindu-nationalist Naredra Modi, wishes to build a truly democratic state, it needs to enforce its legislation on caste, ensure village Panchayats operate within the law and provide Dalit women with the justice and support they so badly need.